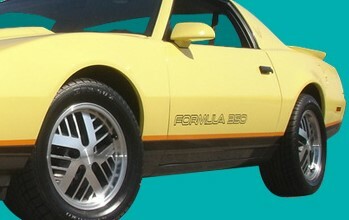 From 1987-90, Formula became the best selling Firebird; surpassing Trans Am sales. Many say these year Formulas were the best performing because of their engine and lighter weight. 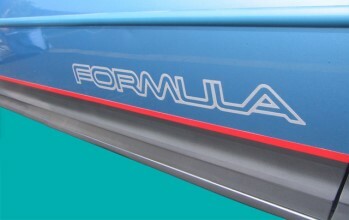 The Formula became a very highly regarded vehicle in these years! Click Here: Determine if your lower accent paint color was Silver or Charcoal by checking the Trim Decal located in the cabin console or rear cargo stow away compartment. 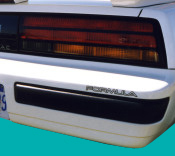 These stripes apply to ALL 1987-90 Formulas; except if car was optioned with "lower accent paint delete" (WX1). Stripes are three-color, premolded, screenprinted and apply over the two-tone paint line just like OEM.